Cruises to Belize are available out of Tampa, Florida. They are offered by Carnival Cruise Line, Norwegian Cruise Line and Royal Caribbean. Ports of call include Belize City and Harvest Caye, a private island owned by a cruise line. See the schedule of departures below. Belize is country in Central America located just south of Mexico. Things to do include exploring ancient Mayan temples, caving, diving and birding. A variety of shore excursions in Belize are available for cruise passengers. One unusual choice is floating through caves on an inner tube. 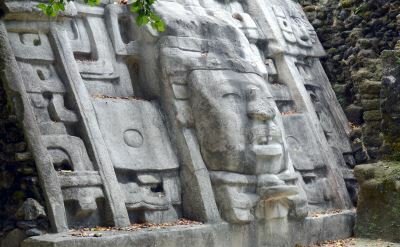 Tour the ancient Mayan sites of Altun Ha, Lamanai, or Xunantunich. Snorkeling is an obvious activity in Belize. The reefs are great. Other shore excursion options include riding a zipline, an air boat, horseback riding, or a rainforest walking tour. This video shows beautiful snorkeling on the reefs of Belize -- a family enjoyed this shore excursion on their cruise. 7-day cruise to Belize on Carnival Cruise Line. Round-trip from Tampa to Cozumel (Mexico), Belize, Isla Roatan (Honduras) and Grand Cayman (Cayman Islands). • 2019 departures: April 14, 21, 28; May 5, 12, 19, 26; June 2, 9, 16, 23, 30; July 7, 14, 21, 28; August 4, 11, 18, 25; September 1, 8, 15, 22. 7-day cruise to Belize on Carnival Cruise Line. Round-trip from Tampa to Grand Cayman (Cayman Islands), Mahogany Bay (Honduras), Belize and Cozumel (Mexico). • 2019 departures: October 27; November 3, 10, 17, 24; December 15, 22, 29. 7-day cruise to Belize on Norwegian Cruise Line. Round-trip from Tampa to Costa Maya (Mexico), Harvest Caye (Belize), Roatan (Honduras) and Cozumel (Mexico). • 2019 departures: November 24, December 15, December 22, December 29. 7-night cruise to Belize on Royal Caribbean. Round-trip from Tampa to Puerto Costa Maya (Mexico), Belize City (Belize), Roatan (Honduras) and Cozumel (Mexico). • 2019 departures: November 30; December 14, 28. 6-day cruise to Belize on Carnival Cruise Line. Round-trip from Tampa to Mahogany Bay (Honduras), Belize and Cozumel (Mexico). 6-day cruise to Belize on Carnival Cruise Line. Round-trip from Tampa to Cozumel (Mexico), Belize and Costa Maya (Mexico). 7-day cruise to Belize on Carnival Cruise Line. Round-trip from Tampa to Cozumel (Mexico), Belize, Mahogany Bay (Honduras) and Grand Cayman (Cayman Islands). • 2020 departures: January 5, 12; February 9, 16, 23; March 1, 8, 15, 22, 29; April 5, 12, 19, 26; November 15, 22, 29; December 20, 27. • 2020 departures: February 16, February 23, March 1, March 8, March 15, March 22. 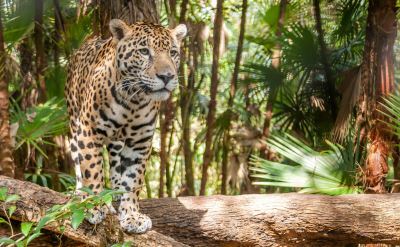 7-day cruise to Belize on Norwegian Cruise Line. Round-trip from Tampa to Cozumel (Mexico), Roatan (Honduras), Harvest Caye (Belize) and Costa Maya (Mexico). • 2020 departures: November 22, December 13, December 20, December 27. • 2020 departures: January 11, 25; February 8, 22; March 7, 21; April 4; November 21; December 5.